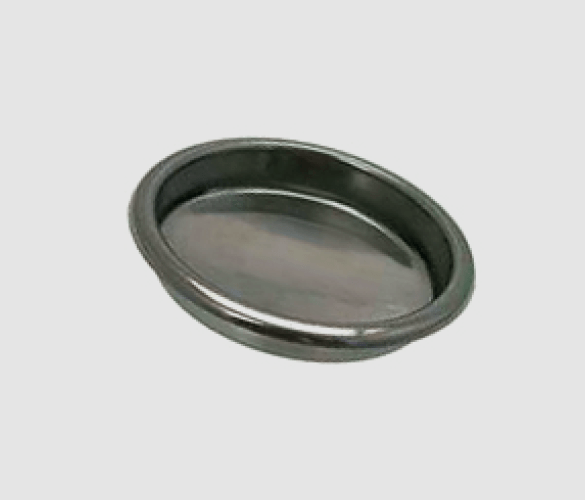 Stainless Steel Blank Cleaning Filter. This blank filter is an essential tool for cleaning your espresso machine. Made from premium stainless steel which is highly durable, easy to clean and resistant to stains and damage. It prolongs the life of your machine and allows you to get more use out of it. It gets the best flavour from your coffee as it won’t be affected by old grounds and residue. It is vital for cleanliness and hygiene. It keeps your machine looking nice and brand new, which is important if it is on show to customers. Wash out your group head with a brush and with the water running. Make sure to get all around the edges of the inside. Remove the basket from your porter filter and wash with a brush and your cleaning solution. Place the blank filter into the portafilter. Pour in the recommended amount of cleaning fluid and backflush the machine 5 times. Soak the milk wands for 2 minutes to remove any stubborn residue. Wipe your machine down to remove any splash marks or grounds. How often should a coffee machine be cleaned? It depends how much use your espresso machine gets. If you’re making a high volume of coffees every day, then your machine should be cleaned every day. It doesn’t necessarily need to be washed with chemicals every day, but should still be thoroughly washed. Make sure to follow the guidance from your cleaning fluid supplier as different products may vary. Dispose of old grounds from the portafilter as soon as you’ve made a coffee. Leaving them in for long periods of time will make it much harder to wash at the end of the day. Wipe down the milk wands after every use. Hardened milk on the wands is one of the most difficult things to wash off at the end of the day, so make sure to keep on top of it before it hardens and becomes stubborn. Keep a cloth by the machine at all times to regularly keep up with spills and stains. Again, keeping on top of cleaning throughout your shift will make it much easier at the end of the day (and it keeps the machine looking nice for customers).